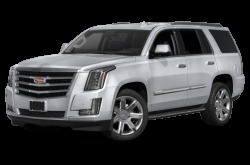 Once considered “The Standard of the World,” Cadillac has long-held the mantle as GM’s luxury division. 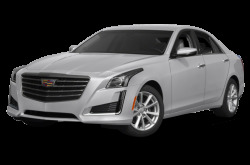 Those looking to join the Cadillac members club can start with the entry-level ATS, which comes as a compact 4-door sedan or 2-door coupe. It has 4-cylinder and V-6 engine options. Moving up in size, the CTS is a high-end, midsize sedan that has the more mature driver in mind. It is powered by a standard 269-hp, turbocharged 2.0-liter 4-cylinder engine mated to a 6-speed manual or 8-speed automatic transmission. Rear-wheel drive (RWD) comes standard, while all-wheel drive (AWD) is optional. 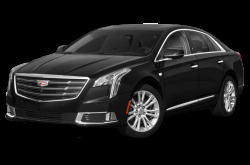 The full-size XTS sedan offers sophisticated style and plenty of power. 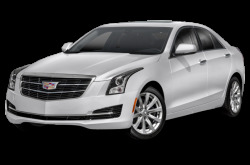 The V-Sport trim levels of the XTS come with a 410-hp, twin-turbocharged 3.6-liter V-6. 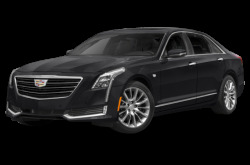 Capping off Cadillac’s selection of fine sedans is the flagship CT6, which stands for Cadillac Touring 6. 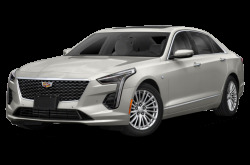 A new plug-in hybrid version of the CT6 is expected to offer around 30 miles of all-electric range before a turbocharged, 2.0-liter four-cylinder gas engine kicks on. The system uses an 18.4-kilowatt-hour lithium-ion battery pack, and total system output is an estimated 335 horsepower. 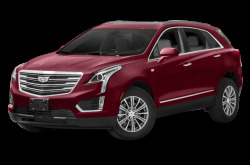 Making its debut last year, the XT5 midsize crossover seats five passengers. Maximum cargo capacity is 63 cubic feet. It is powered by a standard 310-hp, 3.6-liter V-6 paired to a 6-speed automatic and front- or all-wheel drive. 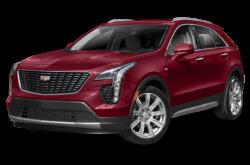 It utilizes a “twin-clutch” design for the all-wheel drive system that allows torque power to be transferred to either the front or rear wheels. 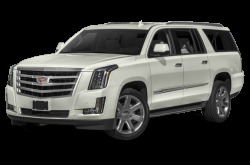 Both the Escalade and Escalade ESV are powered by a standard 420-hp, 6.2-liter V-8 mated to an 8-speed automatic. RWD is standard, while 4-wheel drive (4WD) is also available. Maximum towing capacity is 8,300 pounds. 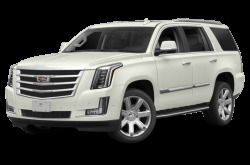 The wheelbase of the Escalade ESV is 14-inches longer than the regular Escalade. Cargo room is nearly tripled, while the third row has more legroom. 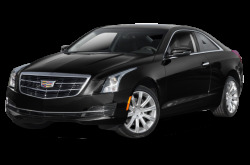 Cadillac has a pair of high-performance versions of the ATS and CTS – the ATS-V and CTS-V. 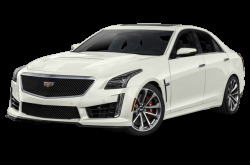 The CTS-V has a staggering 640-hp, supercharged 6.2-liter V-8 mated to the 8-speed automatic that produces 630 pounds-feet of torque.